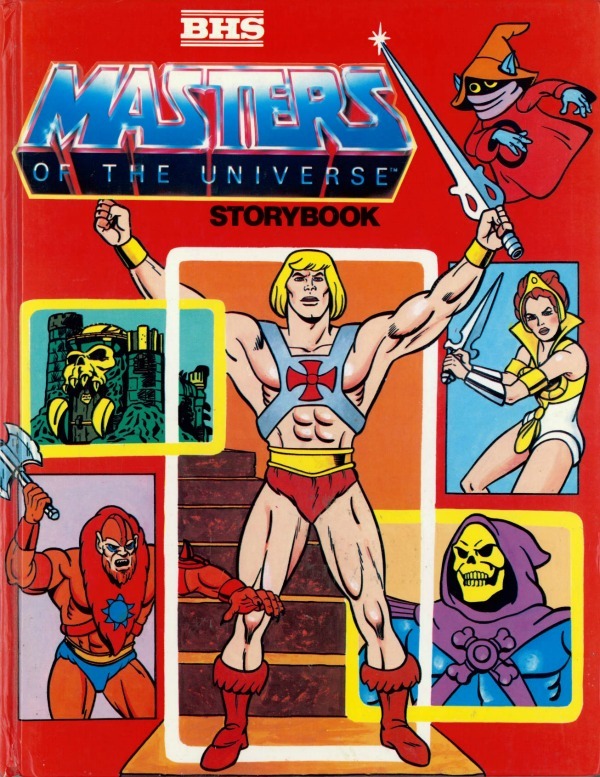 Masters of the Universe Storybook is a 1985 children’s book containing five stories; no author or illustrator is credited. Here, He-Man seeks an antidote when Orko is poisoned, Skeletor pursues an ancient artifact, Tri-Klops finds a city made of emeralds, Skeletor tries to conquer a remote village with life-extending water, and Hordak plans revenge against Skeletor. The stories are interspersed with short introductions to the primary characters. These stories are neither well told nor well written. Inconsistences and convenient coincidences abound. Key parts of stories are glossed over or skipped entirely. Characters’ motives and the narratives themselves frequently make little sense. This all occurs to an extent that even a young reader will find distasteful. For example, in “Skeletor’s Inheritance,” Skeletor teleports into the Royal Palace, then drives the Land Shark (which was conveniently there already) out, all in a fanatical quest to possess an item that doesn’t actually do anything. There are plenty of canonical shenanigans going on, too. Here, Skeletor is descended from “generations of Skeletors,” Mekaneck seems to be one of a community of telescopic-necked people, Man-E-Faces is apparently a robot, and Hordak’s face is actually a mask. In one story, Prince Adam strikes his sword against a stone wall to become He-Man, which follows the 1983 series guide for the Filmation cartoon – but in the other stories, he transforms by the conventional method. The punctuation here isn’t always up to snuff, and inexplicably, “He-Man” is written sans hyphen in all cases, as are Mer-Man and Man-At-Arms; other names, like Beast Man and Wind Raider, are run together without a space. The multiple uncredited artists who worked on this book have duplicated, with varying degrees of quality, the Filmation cartoon’s style. This is well and good, and aside from a few sorry-looking pages, the only real complaint is that the underground city in “The City of Emeralds” is drawn as being explicitly outdoors. The real problem, in short, is that all five stories are critically flawed, making Masters of the Universe Storybook not really worth bothering with.